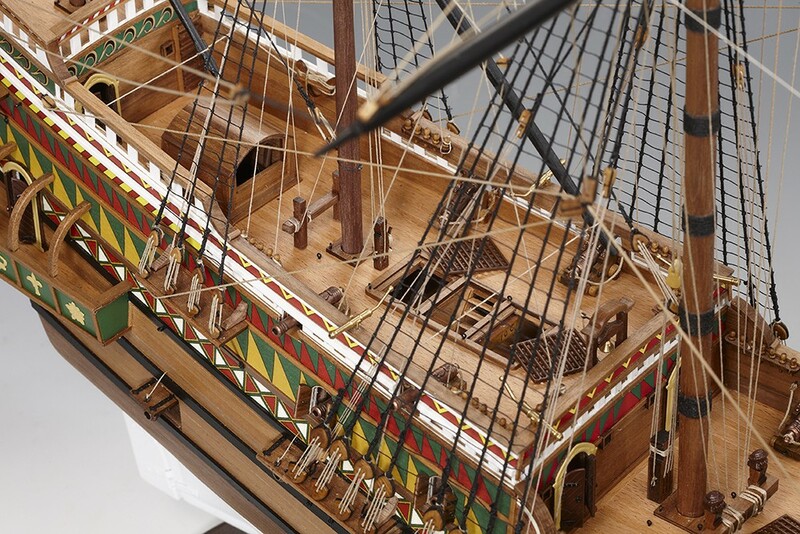 Revenge was about 500 tonnes and carried a crew of around 250 men. 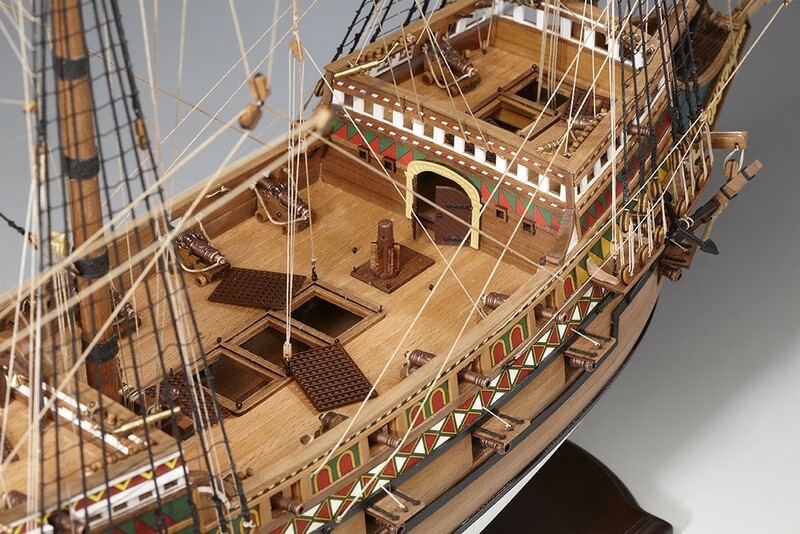 Contrary to popular belief, the new race built galleons were not dwarfed by the Spanish galleons, but were on equal and sometimes larger size. 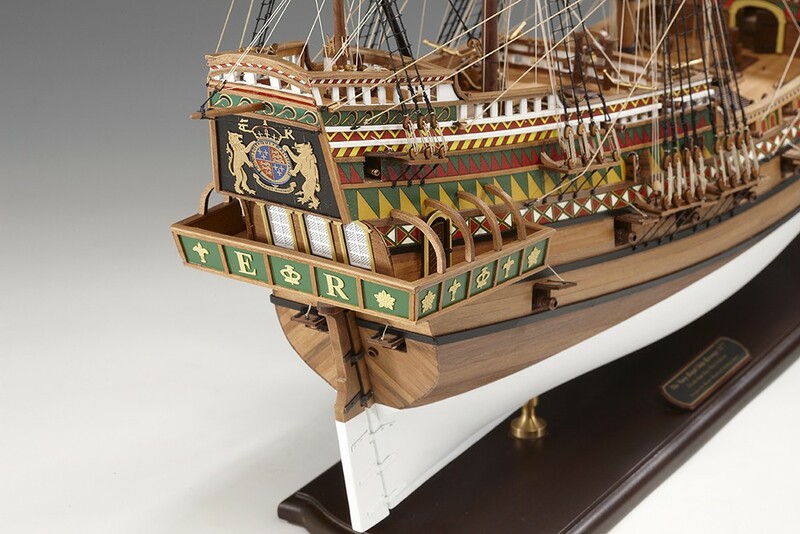 It is very easy to see the lines of Revenge as a pre-curser to the Prince Royal of 1610, the Sovereign of the seas of 1637, even the Prince of 1670. 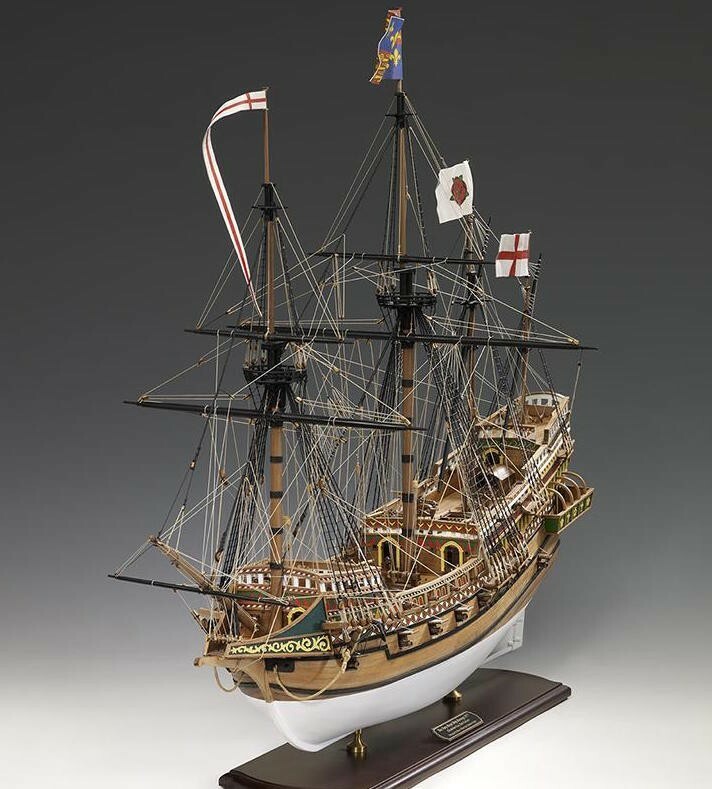 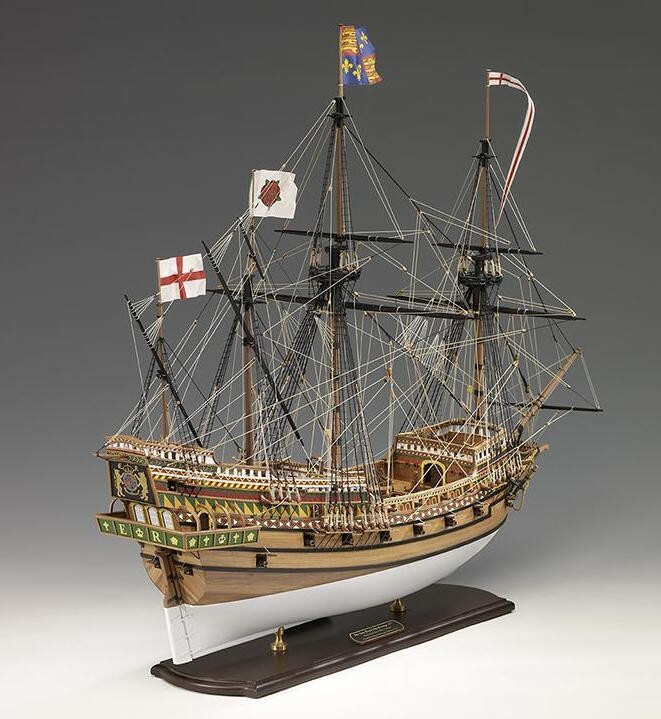 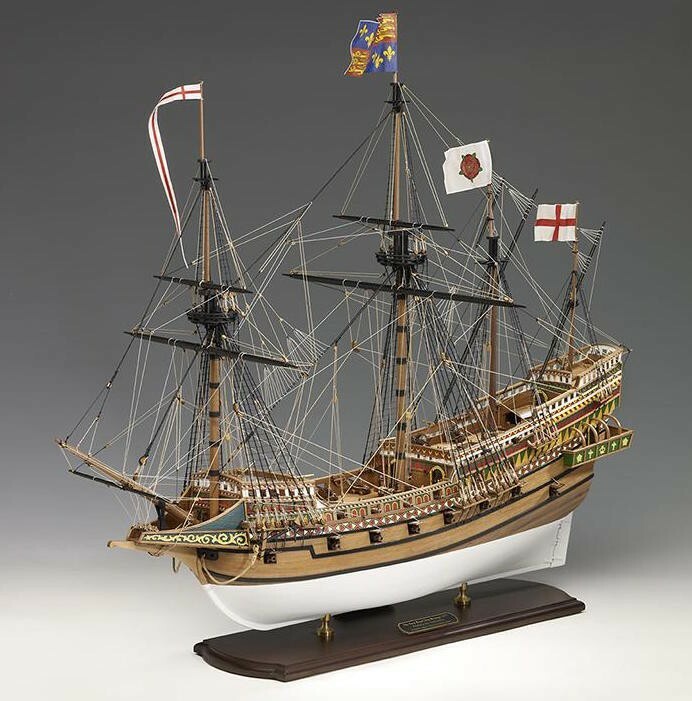 This wooden model contains19 sheets of plans, 96 pages full-color building manual with step by step instructions, laser cut plywood, hardwood and MDF, double-planked hull construction, many sheets of highly detailed photoetched brass parts, precious paper decorations, brass culverins and burnished metal casted cannons.